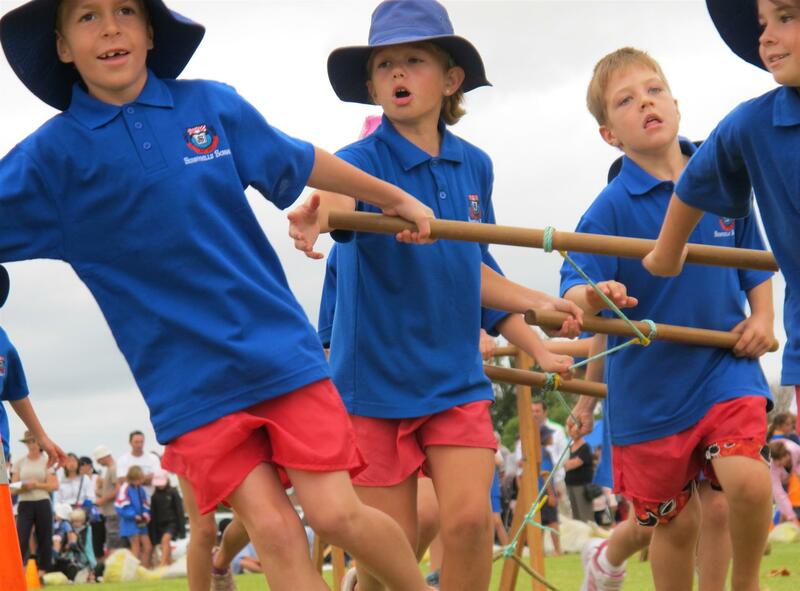 Top Schools is held annually, generally on a Sunday at Edgewater College in Pakuranga, Auckland Organised and supervised by the Pakuranga Rotary, teams from the local schools take part in a range of sports type activities. 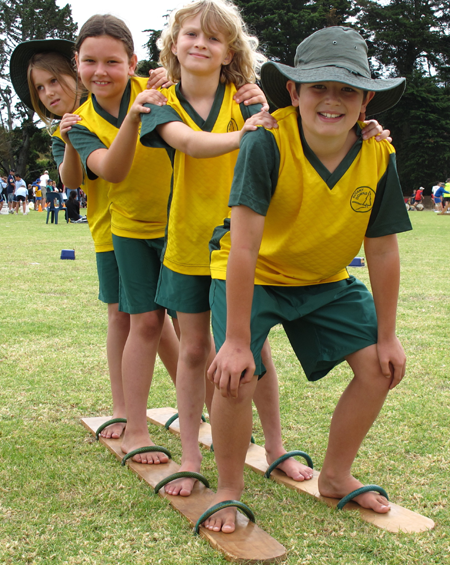 The emphasis is on co-operation, teamwork as well as friendly inter-school competition. Teams are mixed with students from Year 3 - Year 6. The day begins with a march past of all competing schools following the Howick Brass Band around the oval. During the day the students take part in interesting challenges such as passing wet sponge races, carrying a team mate on a stretcher over and under hurdles, guiding a partner through a mine-field of ice-cream containers, walking on stilts, dribbling, hitting and passing balls, pulling a team member on a sledge, walking on stepping stones, pulling a team member in a wagon that has wobbly wheels and as a team walking the length of the field area on skis and so on. The challenges are both interesting and fun and assist greatly in confidence building, team work, co ordination and strategy. At the end of the day all competitors are rewarded with a medal and an iceblock. This annual event is hugely popular with the local Primary Schools and is both an enjoyable and educational community day for junior students their families and friends.